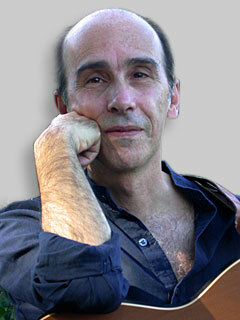 Madhuro was born in Milan, Italy in February 1953 (Aquarius). As a child he showed an extreme sensitivity and inclination for many forms of arts and it was at the age of 14 that he found in music the ultimate vehicle for his creativity. Inspired by the growing pop English music scene, he started learning, playing guitar and singing. In 1971 he formed his first band named "Light" with whom he performed in various dancing clubs for a few years. In 1978 his life took a big turn; attracted to meditation he travelled to India and met the enlightened master Osho, and became his disciple. (Deva Madhuro is the name he received from Osho and means 'divine sweetness'.) Moving his attention to the inner world, he came in touch with an immense source of musical inspiration and started to compose his own songs which became very popular amongst meditators. In 1996 he recorded his first album of songs composed during the previous 8 years, mostly in the loving and juicy atmosphere of Osho Commune. "I keep on loving you", the title song of the CD, very quickly became popular in the 'world of Osho' and in other 'new age' fields and was particularly used in meditation and growth processes like the "Path of Love". After the first album, the creative inspiration continued and, in collaboration with other musicians, he produced several other CDs (see the “albums” page). The music coming out from these recordings has evolved in different directions but the essence hasn’t changed, it runs through every song. It’s a thread that merges together the heart and the being, the love and the silence. These are the centre of Madhuro's compositions and he certainly delivers a taste of it, particularly through his singing. It’s a journey through sweet emptiness.